J.A.C.K. 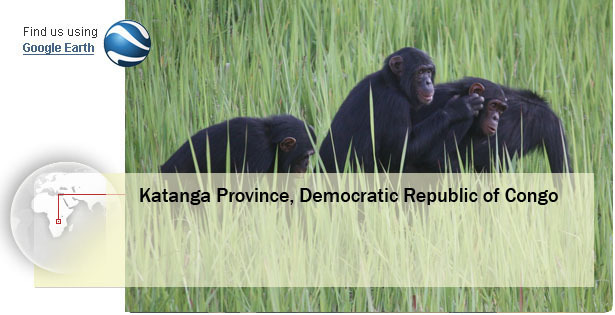 Sanctuary is a self-funded Congolese NGO created in 2006 by Franck and Roxane Chantereau. 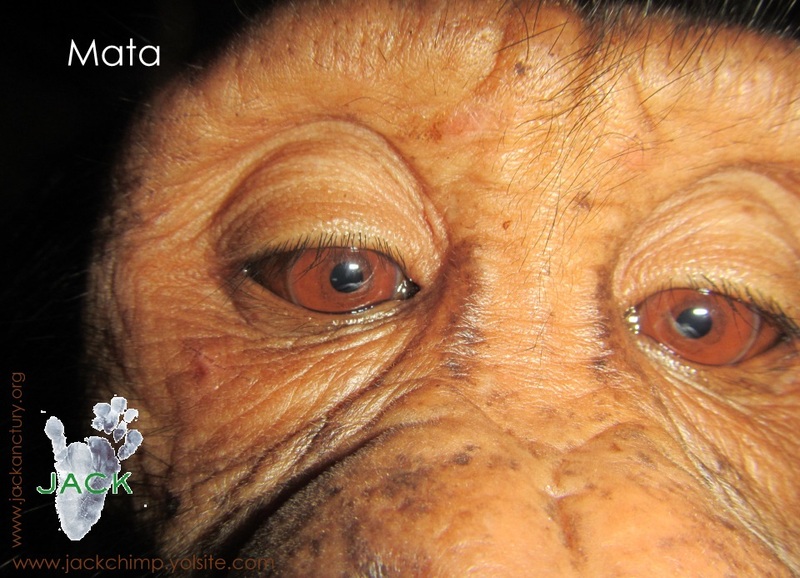 Chimpanzees were being sold and smuggled for the meat trade through their home town of Lubumbashi. 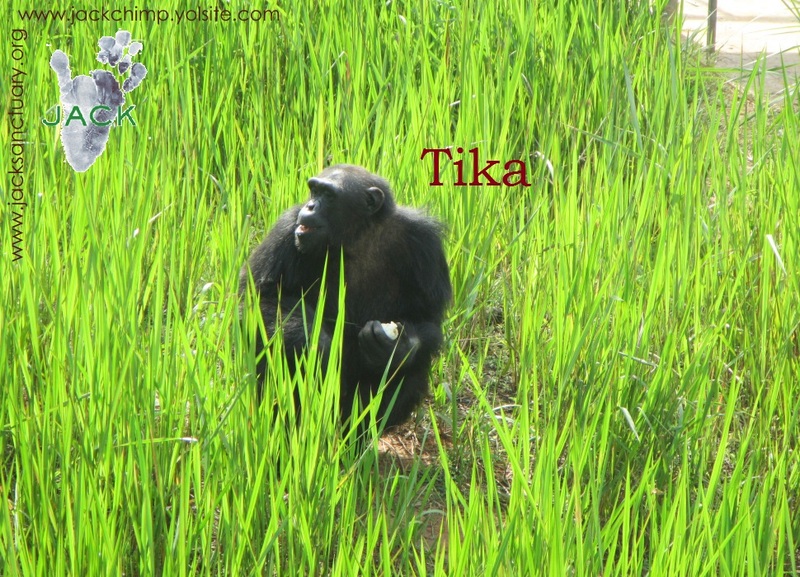 The chimpanzees were often locked in cages and boxes with no water or food. 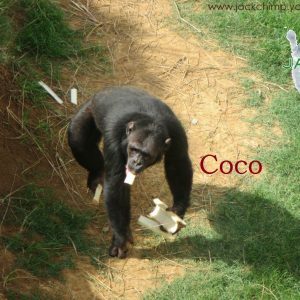 In an effort to stop this illegal trade, Franck and Roxane partnered with the Democratic Republic of Congo (DRC) Environmental authorities to enforce the laws protecting endangered wildlife. 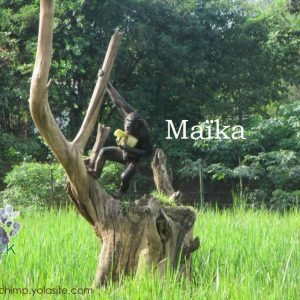 J.A.C.K is a sanctuary that provides these legally confiscated chimpanzees with a decent home and with all the love and care they need to recover mentally and physically from the trauma they have endured as a result of the illegal trade. 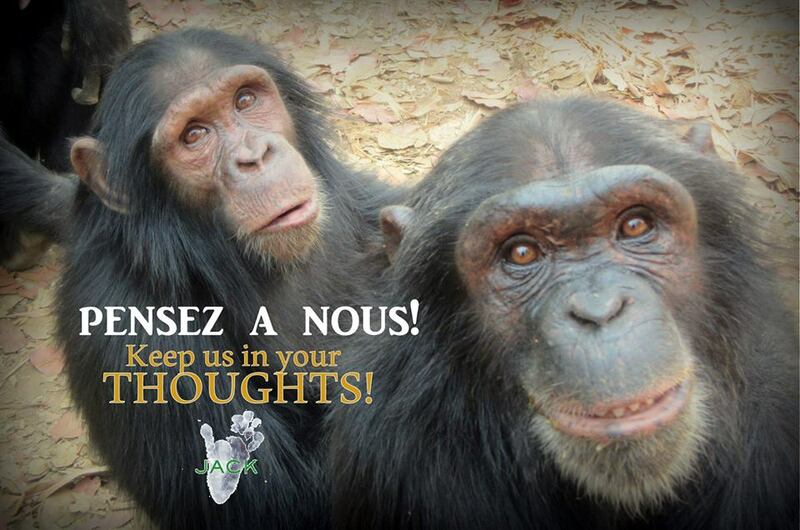 Because of Frank and Roxane’s commitment to establishing J.A.C.K., today no more chimpanzees are for sale on the streets of Lubumbashi. However, although J.A.C.K. 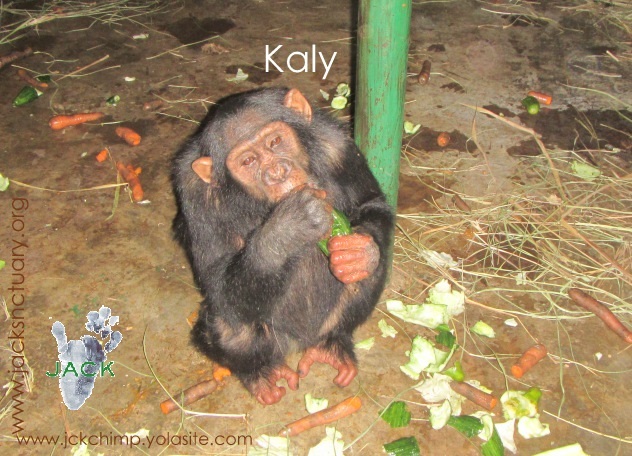 has been successful in its mission to stop this illegal trade, their is an ongoing need to feed and look after the health of these rescued chimpanzees. This is no simple task. Things aren’t that easy in this part of the world. The DRC is constantly at war or regularly goes through political unrest that makes getting even the basic supplies such as food and medicine a difficult and expensive task. J.A.C.K relies solely on donations and needs additional support. 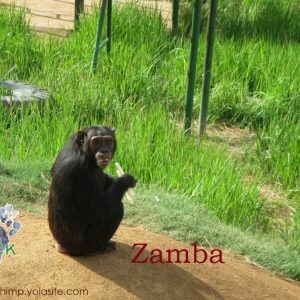 A small donation of just $5 could ensure a chimp is getting the required care it needs such as nutritional food, medicine and enrichment items. 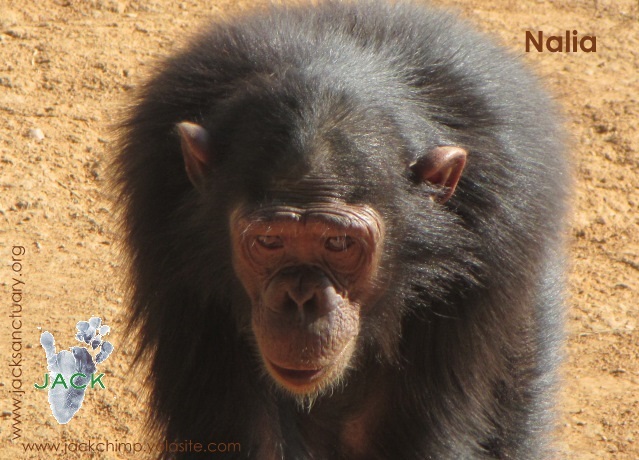 Please donate to us to help us give these amazing chimpanzees the life they deserve and help us put a stop to the illegal trade of apes to ensure they will be with us for many more years to come. J.A.C.K. IS BACK on social media!Hi Everyone this is Roxane writing! We would like to thank all our Friends who followed us despite this unexpected situation and we also would like to thank the Friends who sent us lovely emails full of Love and comfort. Your words of encouragements helped us go through these scary times as we really felt lonely, isolated and even not understood! So, since we are now connected again to the world, we will do our best to update daily just like ‘before’. 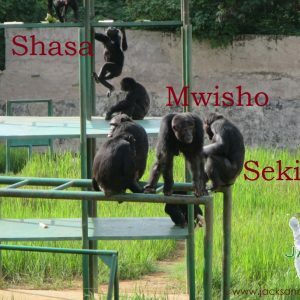 Chimps and humans at J.A.C.K. are all safe and well. So happy to be in touch again with YOU !!! Today was a peaceful and quiet day. All the members of our team managed to come at work or to go back home. In addition to this, since no unrest was to be heard about in the suburbs, you could see a light of hope in the eyes of every one: it’s Christmas and Peace would be the best present ever for our country! 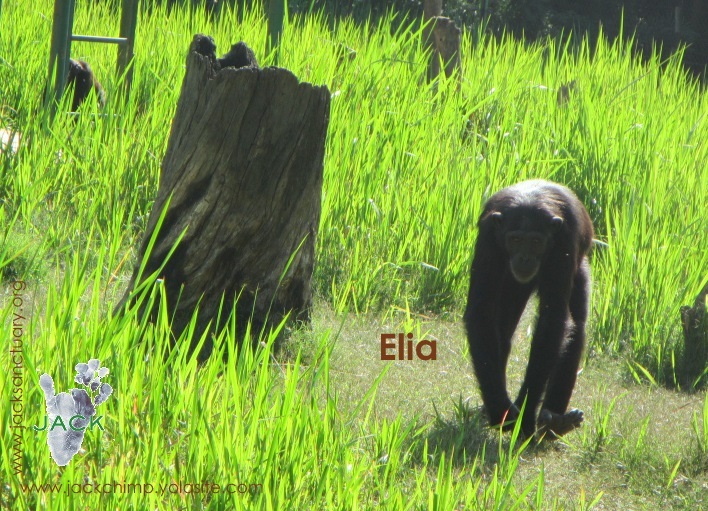 The chimps had their daily routine and were full of energy today! 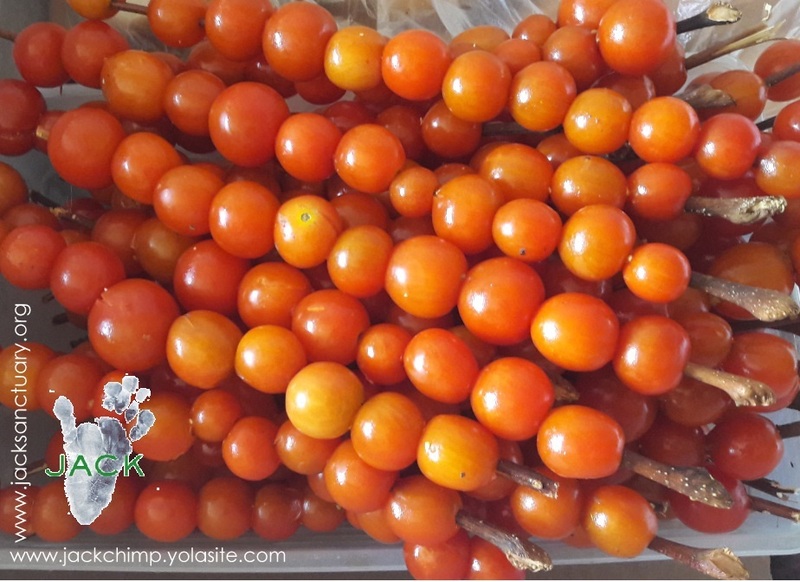 Julie, our Congolese volunteer, joined us unlike every Friday and she prepared some icy tomato sticks for tomorrow’s enrichment! Thank you, Julie!! I’ll try to update tomorrow. Still no social media but a slow and a very useful Internet! So happy to still be in touch with the world!! Some of you might have heard/read that part of the city we are located (Lubumbashi) went through times of violence, lootings and vandalism earlier this week. Monday afternoon, we could clearly hear gunshots from a suburb not far from J.A.C.K. 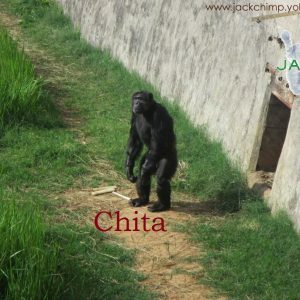 and the chimps ran indoors immediately! They were very scared. Especially the young ones. 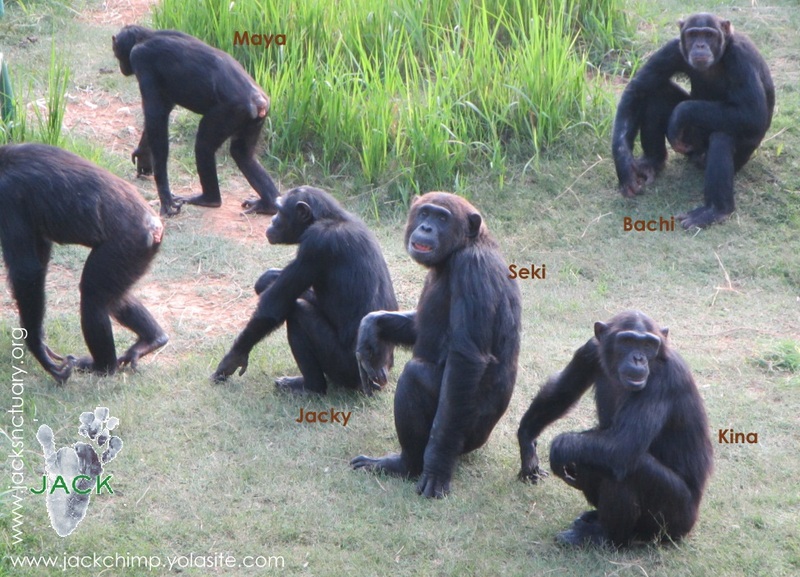 They hate gunshots: all that noise reminds them of the poachers shooting and slaughtering their group when they were infant; so, noisy times like these aren’t pleasant to our residents – and nor are they for our team! 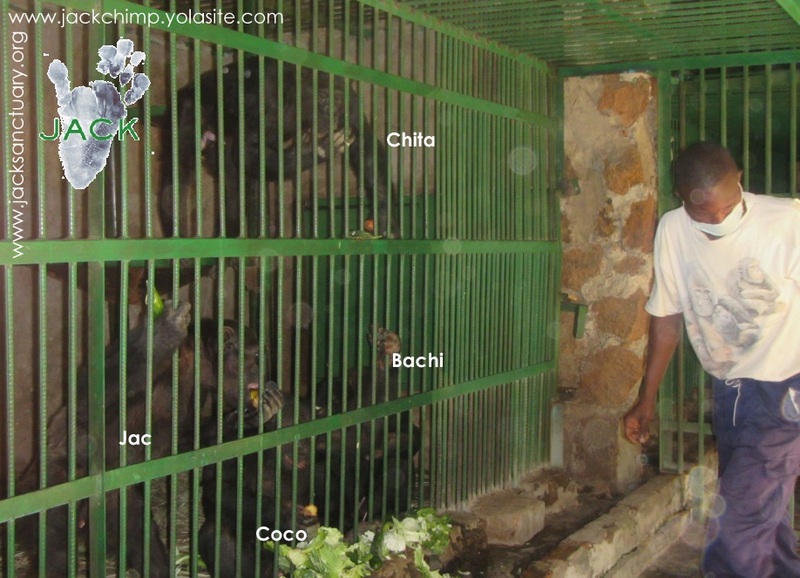 Once the chimps were inside, the keepers stayed with them just to reassure them and our team tried to maintain the chimps routine (feeding time, enrichment, etc). Since yesterday, no more gunshots have been heard. Life in town slowly goes back to normal. 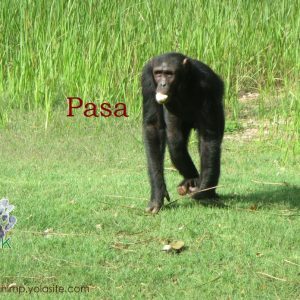 The chimps are all doing well – only our workers are struggling hard to reach their homes or to come at work as most of the suburbs are (military) closed. I’ll do my best to update tomorrow. We do have Internet but it is extremely slow. We don’t have social media; so I won’t be able to post any videos (Youtube) nor updates on FB … Many thanks to my friend for her help and permanent support. PS/ Many thanks also to the few Friends of J.A.C.K. 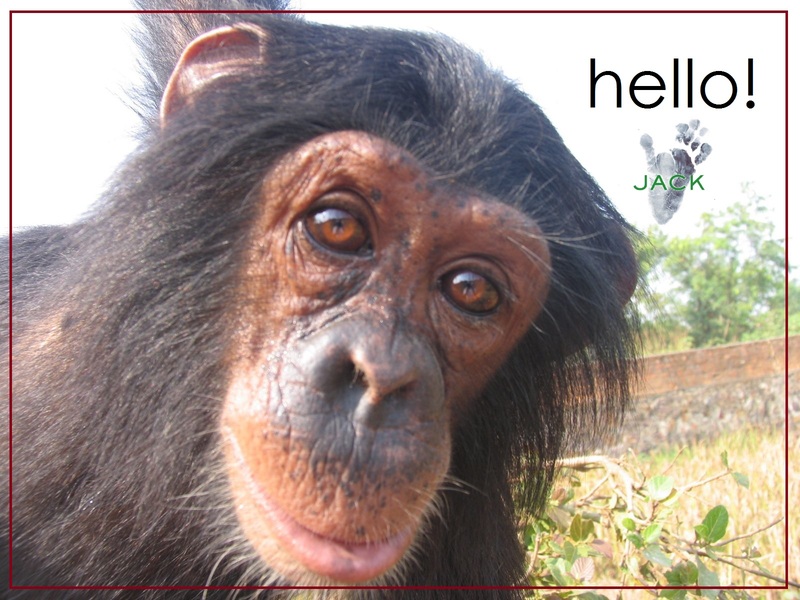 who left us kind messages on our contact page (http://jackchimp.yolasite.com/contacter-jack.php) Your warm words have cheered us up!! As many of you might know, our country is going through a lot of political unrest these days and DRC Government has announced all social media (and maybe Internet) will be cut from this Sunday 18 december on. 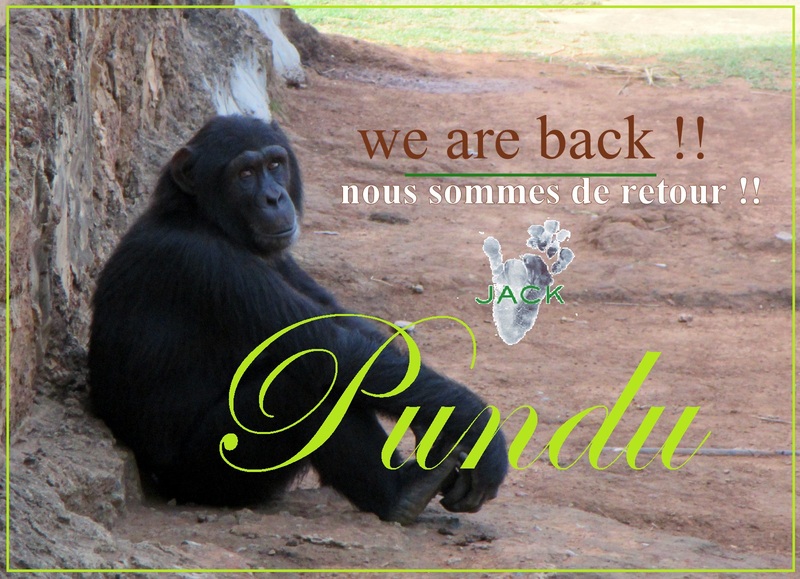 We are not sure we will be able to post updates on the chimps – so, in case you can’t read us anymore, sorry, this isn’t our fault. We all hope life will come back to normal very soon! 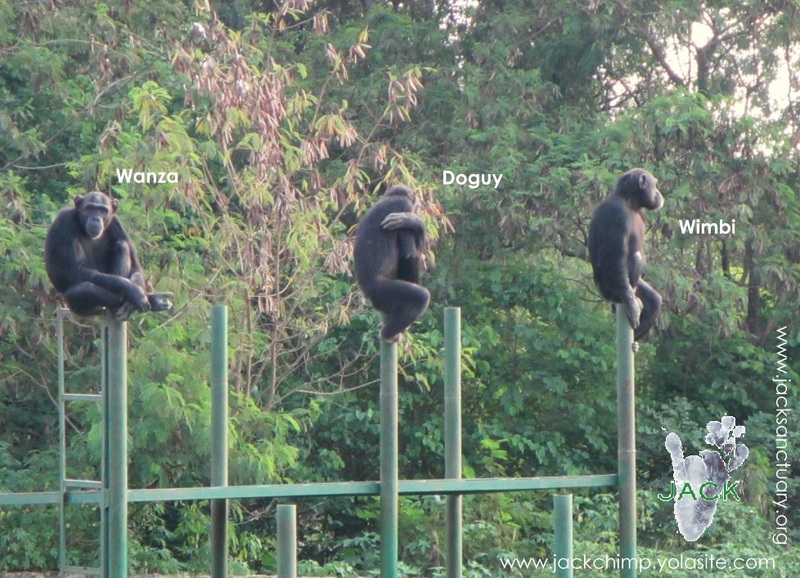 And we really hope the chimps, the team and us will remain safe!